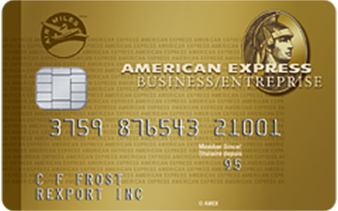 The insurance coverage included on your American Express Card are outlined below. You may top-up your existing insurance by purchasing additional coverage or a separate travel plan. Up to $100,000 of Accidental Death and Dismemberment Insurance covers you, your spouse and dependent children under the age of 23 when any of you travel on a common carrier (plane, train, bus or ship) and charge your tickets to your card. Supplementary Cardmembers, their spouses and dependent children under age 23 are also covered. You can be insured for eligible items charged to your Card for 90 days from the date of purchase in the event of accidental physical damage or theft for up to $1,000 per occurrence (for all purchased items combined). Your coverage can automatically extend the manufacturer’s original warranty up to one additional year when you fully charge eligible items to your Card. Provides coverage for eligible emergency medical expenses incurred while travelling outside your Canadian province or territory of residence, for the first 15 consecutive days of each trip, up to a maximum of $5,000,000 per insured person, for all insured persons under the age of 65. Remember, if the unexpected happens during a trip and you need medical assistance, call the number provided below to ensure you get fast, appropriate treatment from a doctor who speaks your language. Please note, if you do not call before seeking medical assistance, or if you choose to seek care from a non-approved medical service provider, your claim may be impacted such that your costs may not be reimbursed in full. When you fully charge your travel arrangements to your card, this coverage provides for reimbursement of the non-refundable pre-paid travel arrangements, up to $1,500 per insured person to a maximum of $3,000 for all insured persons combined, when you cancel a trip for a covered reason. When you fully charge your travel arrangements to your card, this coverage provides for reimbursement of the non-refundable unused portion of your prepaid travel arrangements, excluding the cost of unused prepaid transportation back to your province or territory of residence, up to $1,500 per trip per insured person to a maximum of $6,000 for all insured persons combined, should your trip be interrupted for a covered reason. Charge your airline ticket to your card and receive up to the benefit maximum (aggregate maximum with Baggage Delay Insurance) for all necessary and reasonable hotel, motel, restaurant expenses and sundry items purchased within 48 hours when you are delayed or denied boarding for four hours or more and no alternate transportation is made available. Book a flight with your card and receive up to the benefit maximum (aggregate maximum with Flight Delay Insurance) for all immediate daily reasonable and necessary emergency purchases, made within four days, for essential clothing and sundry items when your baggage on your outbound trip is delayed by six or more hours. Lost or Stolen Baggage Insurance4†? When you fully charge your airline tickets to your card, you are covered for loss or damage to your checked-in or carry-on baggage and personal effects while in transit up to the benefit maximum per trip for all insured person(s) combined. Charge your Hotel/Motel arrangements to your card and receive coverage up to the benefit maximum against the loss of most personal items if your hotel/motel is burglarized. Provides out-of-town emergency medical and legal referrals by telephone, 24 hours a day, 7 days a week. Car Rental Theft and Damage Insurance7†? Save money when travelling with the Car Rental Theft and Damage Insurance included on your card. This coverage provides compensation for theft, loss and damage up to the actual cash value of a rental car with an MSRP of up to $85,000, in its model year. To take advantage of this protection, simply decline the Loss Damage Waiver (LDW) or similar option offered by the car rental company, and fully charge your rental to your card. There’s no additional charge for this coverage, and you save yourself the daily insurance fee (usually $16 to $23 per day) charged by the car rental company. Want to get this coverage? Find a plan that suits your needs. Find the details of your insurance included with this Card in the Certificate of Insurance. Round out your coverage by adding one of our AMEX® Travel Insurance* plans. Need to make a claim?We’re here to help. †: All insurance coverage is subject to the terms and conditions of their respective master policies. Certain limitations, exclusions and restrictions apply. Please read your Certificates of Insurance carefully. Underwritten by Royal & Sun Alliance Insurance Company of Canada. This coverage provides for eligible emergency medical expenses incurred while travelling outside your Canadian province or territory of residence for the first 15 consecutive days for all insured persons under the age of 65. Underwritten by Royal & Sun Alliance Insurance Company of Canada. Trips will not be covered for trip cancellation, if purchased with points from a reward program other than the Membership Rewards® Program. All reward programs are governed by their own terms & conditions. Underwritten by Royal & Sun Alliance Insurance Company of Canada. Trips will not be covered for trip interruption, if purchased with points from a reward program other than the Membership Rewards® Program. All reward programs are governed by their own terms & conditions. All the services associated with Travel Emergency Assistance are provided worldwide with the exception of some countries (it is best to check with Customer Service). From anywhere in Canada/U.S. call 1-800-678-5523. Outside Canada/U.S. please call collect (514) 285-8165. Underwritten by Royal & Sun Alliance Insurance Company of Canada. Coverage is in effect as long as you have fully charged your rental to your Air Miles Gold Business Card. There are specific conditions that apply to who may rent and drive the rental vehicle, the length of rental(s) and the type of vehicle covered. Underwritten by Royal & Sun Alliance Insurance Company of Canada. Insures eligible purchases fully charged to your Air Miles Gold Business Card for 90 days from the date of purchase in the event of damage or theft. Underwritten by Royal & Sun Alliance Insurance Company of Canada. When you charge the full price on eligible purchases to your Air Miles Gold Business Card, the coverage provided under the manufacturer’s original warranty is automatically doubled for up to one additional year. * AMEX® Travel Insurance is optional group travel insurance underwritten by Royal & Sun Alliance Insurance Company of Canada. In this outline, we have given a brief description of just some of the benefits available under AMEX® Travel Insurance. All insurance coverage is subject to the terms and conditions of the Group Policy issued to Amex Bank of Canada and the applicable limitations and exclusions described in the Certificate of Insurance issued upon enrollment. Please read the Certificate of Insurance carefully. AMEX® Travel Insurance is underwritten by Royal & Sun Alliance Insurance Company of Canada. Amex Bank of Canada identifies insurance providers and products that may be of interest to some of its customers. In this role we do not act as an agent or fiduciary for you, and we may act on behalf of the insurance provider, as permitted by law. We want you to be aware that we receive compensation from insurance providers and our compensation may vary by provider and product. We do not require you to purchase any insurance product, and you may choose to cover your insurance needs from other sources on terms they may make available to you.